I’ve documented a bunch of the hashtag hijaking in Azerbaijan, but today they took it to a new level. 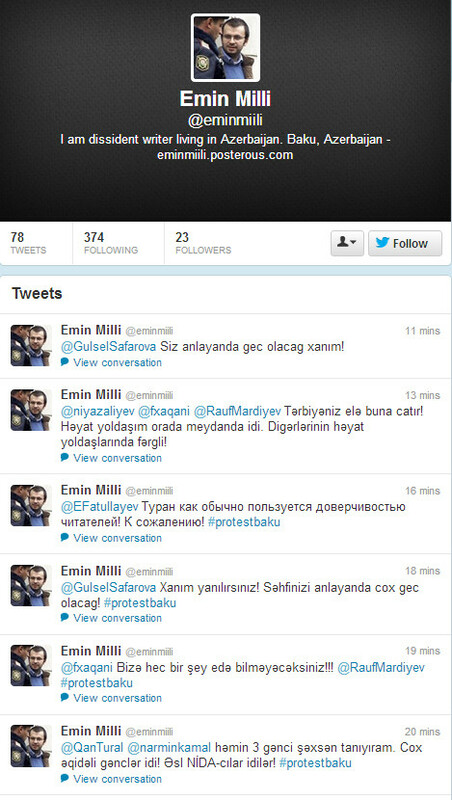 Fake Twitter accounts for Emin Milli and Adnan Hajizada were created. The fakes used the same Twitter photos. 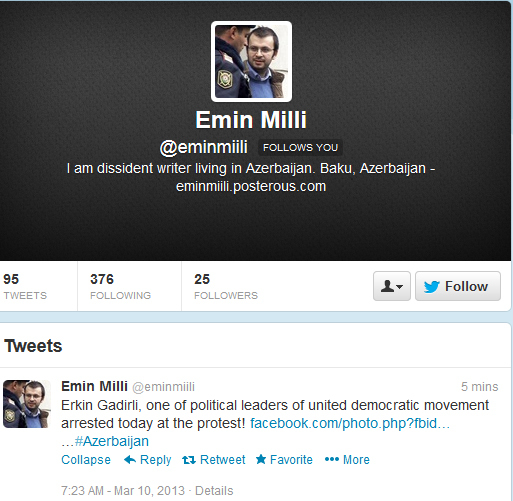 With Emin, his real account is @eminmilli and the fake is @eminmiili – almost impossible to see. 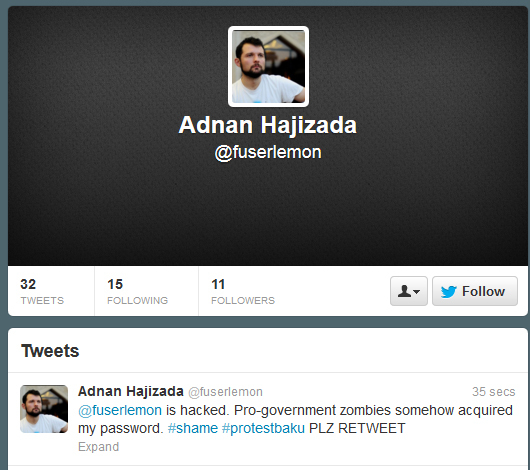 Adnan’s real is @fuserlimon and the fake is @fuserlemon. Many people (including myself) were fooled. While this is not a nice thing to do, I do have to applaud the effort. The tweets were pretty convincing, if a bit confusing. 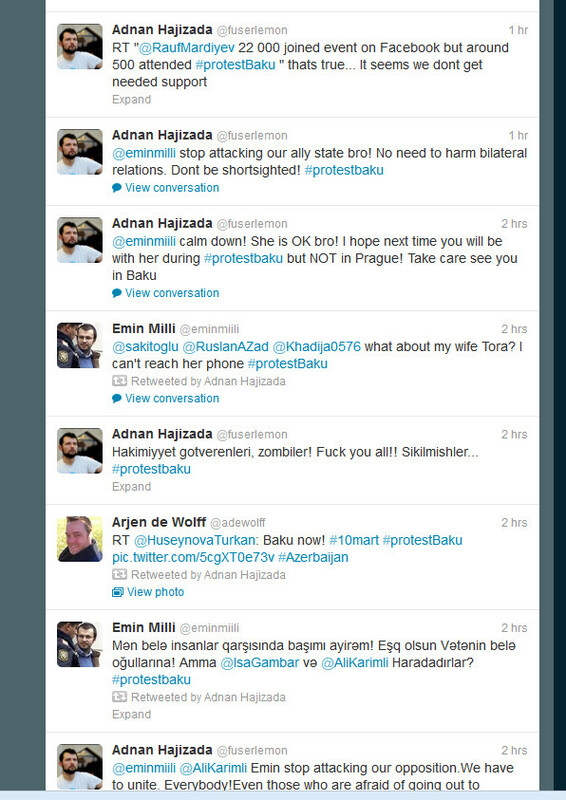 Well played, Azerbaijan cyber troublemakers. And the accounts that Fake Emin is interacting with are a bit odd, huh? And here are some good efforts at trying to fool us. 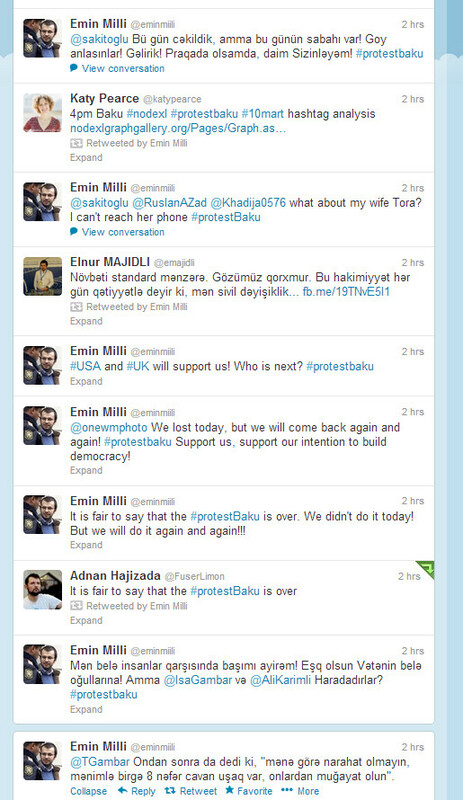 This one links to Emin’s Facebook… SMOOTH move! And this one says that Adnan was hacked.